Fast Healthy Boost NOT a Sugar High? What is the best natural energy drink for a fast pick-me-up? Why not get an energy jolt from Red Bull or Monster? See here for yourself why their sugar and caffeine don't give you lasting energy, and will send you crashing again. Convenience store drinks usually have 8 teaspoons of sugar along with caffeine that give an “up” but also a “let-down” or even the jitters. Xtra Sharp best natural energy drink has NO sugar and NO caffeine! GET THAT EDGE without sugar or caffeine! 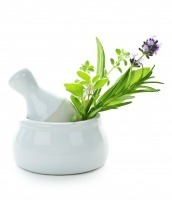 Try this energy boost tonic -- a herbal concentrate with 5 minerals and 17 herbs. For an immediate boost and hours of focus. Although you won't find it in the convenience store, you can order a bottle that will last you for weeks or sell to friends for a health boosting herb energy drink business! You only need to take ONE OUNCE AT A TIME, so a bottle goes a long way. Easy to keep this best natural energy drink in your car or desk! Be assured that with a shot of fast-acting herbal pick-me-up you will be sharp, alert, awake and focused longer, AND have a feeling of well being. Get a Boost AND Get Healthy? A mineral-herb tonic to improve your stamina, reaction speed, concentration and mental alertness. Enjoy a fast-acting herbal-mineral tonic to regain alertness when working or driving! Xtra Sharp invigorates, refreshes and restores you physically and mentally by revitalizing a number of the body’s systems. How? Potassium, magnesium, calcium and iron, along with an energizing assortment of herbs that are beneficial to the brain such as Ginkgo Biloba to improve memory and Ginseng for BEST performance. FRUIT or ORIGINAL Herbal Energy is safe even if you are diabetic, especially if you use the formula that has NO SUGAR. 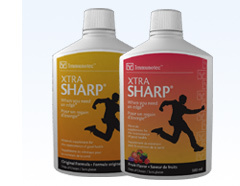 Xtra Sharp Has No Ephedra, No Sugar, No Caffeine And No Carbohydrates! Xtra Sharp does NOT work on the adrenal glands like other energy boosters. When you stimulate the adrenals you can become very fatigued without your stimulant. Instead, potassium gives your muscles what they need for that workout and the herbs improve your mental sharpness and stamina. What Boost Lasts Longer Than Coffee? The most common stay-awake stimulant is coffee, to improve alertness and performance – at least for up to 2 to 3 cups a day. If you drink more than that, the effect levels off, and even reverses. Large doses of caffeine can cause the jitters, insomnia and anxiety. What’s the alternative? Guarana is now being used in energy boosting drinks because it has distinct advantages over coffee. WHY GUARANA FOR A MORE SUSTAINED PICK-UP THAN COFFEE? Guarana, the legendary herb of the Amazon, has a broad spectrum effect that ranges from its use as a builder of stamina and staying power, to its value in calming and soothing the whole body and relieving physical and mental stress. It's been found to stimulate brain function and help concentration and alertness. The energy boost that is experienced from Guarana isn't like coffee with its sudden rush and quick drop-off, but continues over hours, and is SMOOTHER! The effects of Guarana are to: relieve stress, improve alertness and concentration, fight fatigue and nervous exhaustion. Guarana has been safely used without harm for thousands of years in the Amazon region. It has now been studied in clinical studies in labs in Brazil by the government and universities. Guarana has been found to be safe and effective in recommended doses without harmful side-effects. Also important is the finding that Guarana is not addictive or habit forming and does not stop you from sleeping soundly if you take it earlier in the day. Why This Best Natural Energy Drink? Here's how to get 30% off on a one-time order of 1 bottle that has about 20 servings. CALL Immunotec NOW at: 1-888-917-7779, weekdays 5:30 am to 9:00 pm E.S.T. 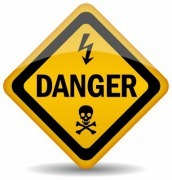 Can Energy & Sport Drinks be Dangerous? Why is the best natural energy drink a health boosting herb energy drink? Sports and energy boosters such as Gatorade and Red Bull are popular, but bad for your teeth. How BAD are Red Bull, KMX sports drink and Gatorade? Dental researchers are warning that they can be extremely bad for your teeth, much worse than soft drinks, which are often described as cavity-causing. Dr. Anthony von Fraunhofer, professor of biomaterials science at the University of Maryland Dental School in Baltimore, said the acids in sports drinks cause tooth enamel to break down, making it more likely that cavities will develop. "The enamel damage caused by sports beverages was 3 to 11 times greater than cola-based drinks, with energy-drinks and bottled lemonades causing the most harm to dental enamel," he explains. All these drinks caused substantially more erosion than black tea! Best to go with a health boosting herbal energy drink. If you want to avoid sugar and caffeine in energy drink, you can make home made NATURAL ENERGY DRINKS or get the best natural energy drink that's herbal, and has Ginkgo biloba for your memory and brain health! Worried about harmful ingredients in energy drinks? Get healthy and use the best minerals in a health boosting herb energy drink. Please note that testimonials used are by persons desiring to share their personal experiences, and are given for informational purposes only.